Sure, you know your skin goes through various changes as you age. It is an unavoidable biological phenomenon. (Unfortunate, we know!) But did you know there are two types of skin aging? They are called intrinsic and extrinsic aging. Intrinsic refers to hereditary predisposition. In the 1960s, scientists found out that it's rooted deep into our DNA. (You might want to take a glance at your parents to see what the future holds for you.) Furthermore, it is influenced by your body's internal processes including cell turnover and hormonal changes. In women, the decline of estrogen leads to the decrease of collagen and elastin production leading to wrinkles, sagging and loss of elasticity. This represents only about 10% of the aging process and starts to become most apparent in your 60s. Meanwhile, extrinsic aging depends on factors such as lifestyle, diet, stress and sun exposure. Of all extrinsic causes, sun exposure gets the biggest blame because it accelerates the breakdown of skin cells, leading to epidermal and dermal weakening. At its worst, extrinsic aging due to overexposure to harmful UV radiation may also result in skin cancer. Surprisingly, a whopping 90% of skin aging comes from extrinsic factors and it starts to show up around the age of 30. Once you become aware of what external factors cause premature aging, you can take preventative measures to minimize the effects. Your 20s are when you'll likely start noticing the first signs of aging, though they can differ from person to person depending on genetics and lifestyle. Here, we breakdown the most common signs of aging and recommend the best products to deal with them. Your risk of dry skin increases with age in fact around 50% of adults age 40 and up deal with it. This is because the sebaceous glands produce less sebum a.k.a. oil, while the skin's barrier, which helps skin hold onto moisture, is more compromised. Less oil equals less moisture equals wrinkles. 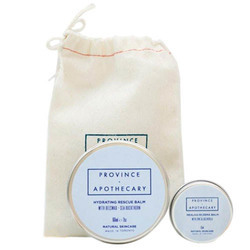 This set contains a slew of skin moisturizing ingredients including castor oil, seed oil, glycerin and more to thoroughly nourish your skin and increase moisture retention. As a result, you will notice an improvement in the appearance of fine lines and wrinkles. Wrinkles, a natural part of aging, are most prominent on sun-exposed skin such as the face and neck. Wrinkles are classified into two main categories: fine skin surface lines and deep furrows. It is often a result of the skin's loss of firmness and elasticity. 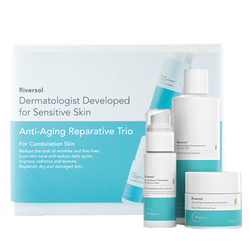 When it comes to restoring your skin's youthful glory, this trio is definitely not holding back. 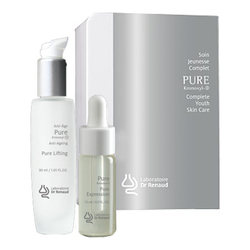 Featuring a triple action formula that combines peptides, glycerin and antioxidant properties to refine wrinkles and other signs of aging, it works by improving skin elasticity and firmness, and boosting collagen production. The skin around your eyes is extremely thin becoming even thinner as you age. This factor, along with loss of subcutaneous fat, volume and collagen, makes reddish-blue blood vessels to become more visible. The result? Panda eyes. Customized for the most delicate skin tissue, these beauty bottles work together to improve circulation and restore elasticity. This brightens dark circles, gives eyes a boost of moisture and helps reduce fine lines around your eyes. Hyperpigmentation is caused by the overproduction of melanin. But it can appear due to skin's natural aging process. It is a broad category that refers to any unusual darkening of the skin. The three main types are age spots, melasma and freckles. 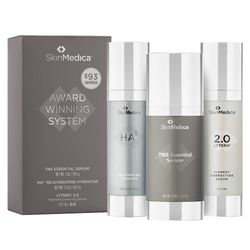 Whether it's age or sun spots, melasma or freckles, this kit really does remedy the problem. It uses the synergy of Vitamin C, hydroquinone 2% USP, retinoid and alpha hydroxy acids to fade discoloration. 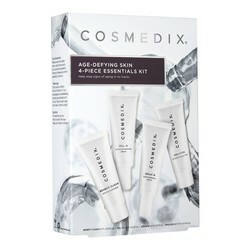 It also works double time to improve skin texture, tone and laxity. Sagging skin is due to two age-related reasons. 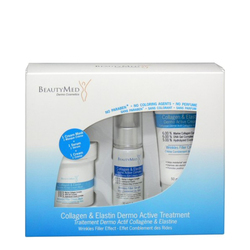 First, loss of collagen and elastin, the fibrous protein which provides firmness and elasticity to the skin. Second, loss of fat, the absence of which causes the skin to droop. 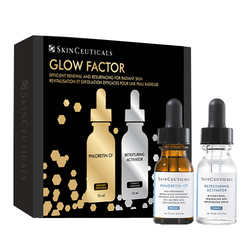 Containing powerful anti-aging ingredients like hyaluronic acid and ascorbic acid, this starter kit helps to increase firmness and plumpness to sagging facial skin. 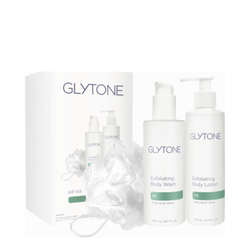 Visible results can be seen within 8 to 12 weeks of daily use. Remember, there is no magic potion that would completely stop aging as it's an inevitable process that we all have to go through. But that doesn't mean we can't do anything about it. 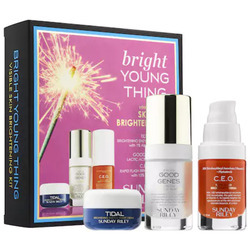 It is possible to delay the aging process and maintain youthful glow with some skin-loving beauty products.